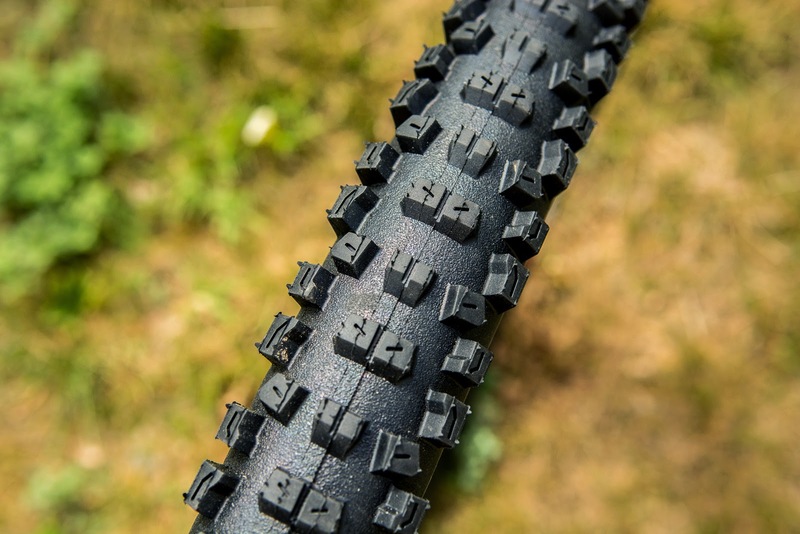 This review has been a long time in the pipeline, but then I feel (and have said before), that the best time to judge a pair of tyres is when you take them off the rim. Either you’ll be ripping them off cursing the quantity of punctures, poor grip and slow performance; or you’ll be taking them off ready to put a new pair of the exact same tyre back on there, because you’re impressed by them so much. 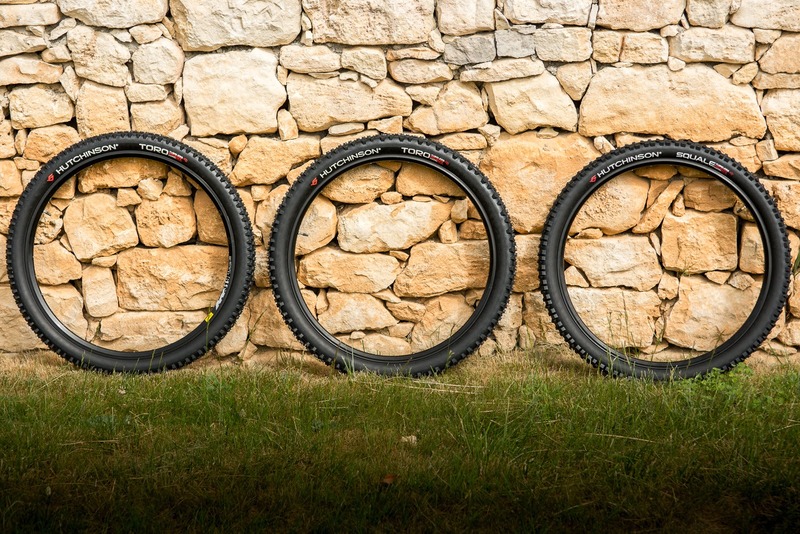 I started testing the Hutchinson Tyres Squale and Toro earlier this season in the rather idyllic setting of a French farmhouse in Provence. 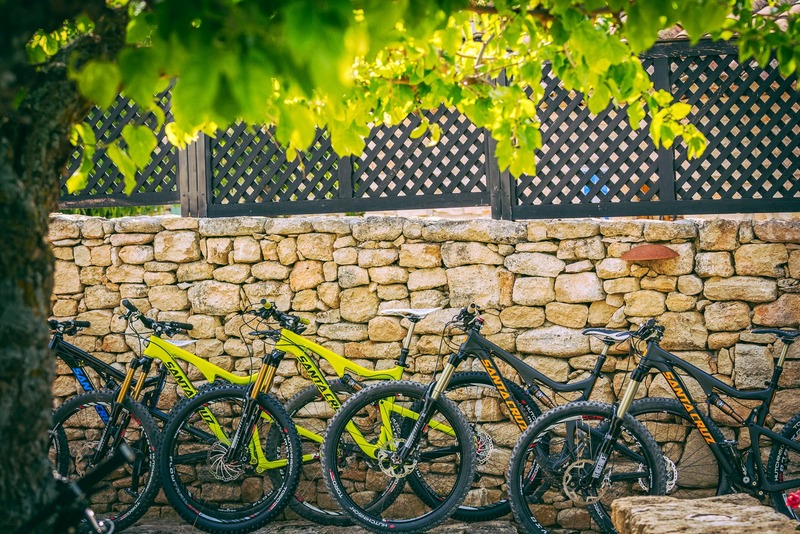 At the Hutchinson Tyres press camp in late May, a group of other journalists and myself put the new Squale and Toro through their paces over two days of fast all-mountain riding. They proved an impressive set of rubber; hugging the gravel berms as we carved around them, holding steady on the rock gardens as we dropped down the side of the mountain, and proving that they are very much worthy of their usage with one of the best downhill race teams; Hutchinson-Polygon, who showed us how these tyres really can be pushed to their limit. The Squale uses tall aggressive lateral knobs to maximise cornering control, it's 2x66 TPI casing is great at resisting punctures, and the ramping on the central knobs is effective at aiding braking and accelerating. 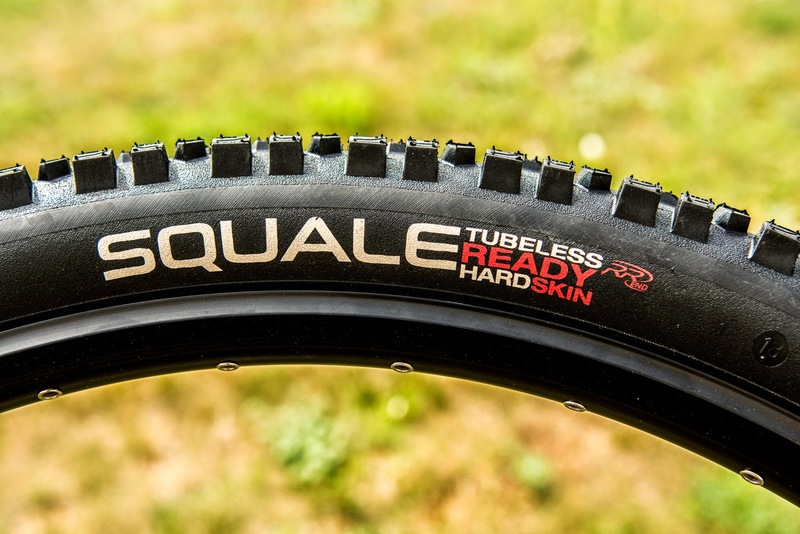 The Squale is the go-to tyre of the Hutchinson-Polygon team. The Toro by contrast, has a more neutral set-up; it uses tall evenly spaced knobs to hang on the corners and lower central knobs to aid with mud dispersion. 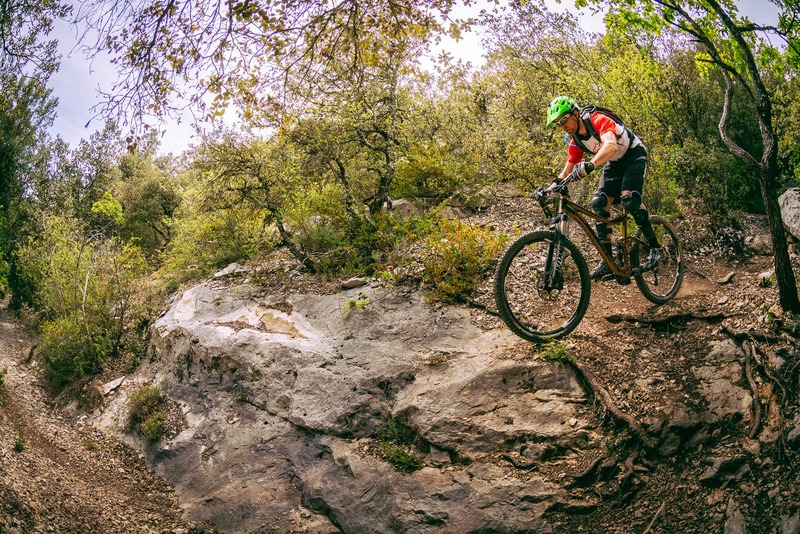 It is well suited to a variety of conditions, including muddier terrain. The difference between the two tyres was noticeable; people question how much of a factor tyres are to performance. The answer is they are a HUGE contributor. 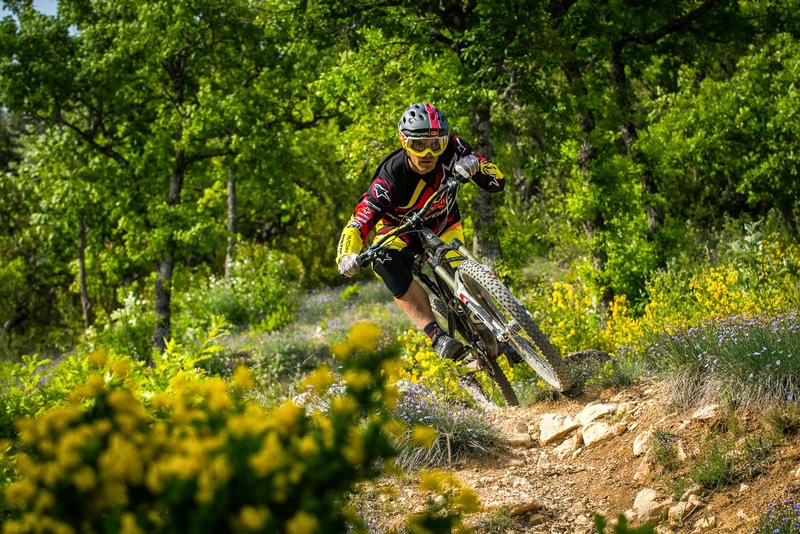 Whilst descending the same Provence mountain double-figure times, we were able to feel how the Squale gripped in the corners better on the dry material, and how the Toro rolled faster and smoother over the rough ground, due to its lower central knobs. 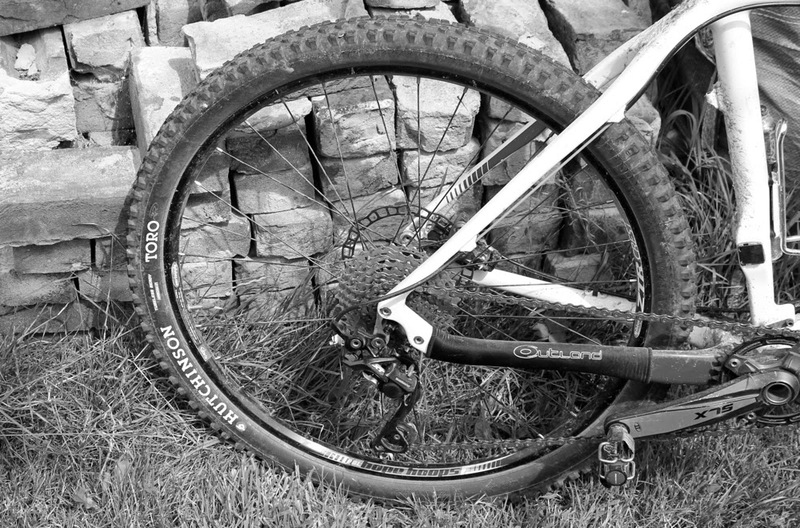 Both tyres performed incredibly well; despite some extremely challenging surfaces, which tore at the knobs and lugs on the tyres, there wasn’t a single puncture in my riding group, and despite riding completely new trails, all of the journos felt confident and in control on the bike. 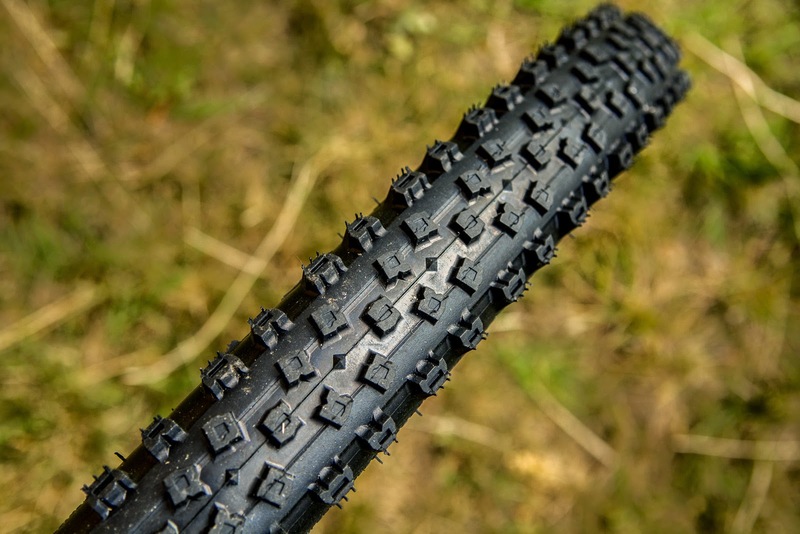 These tyres are packed full of new technology as well, and Hutchinson filled us in on some of the details: for example, the Race Riposte compound aids durability, whilst the Tubeless Ready Hardskin makes these super easy to seal onto tubeless rims, as well as being better at resisting sidewall cuts. All the above features are marginal gains, which have been studied and developed by the French firm throughout their 160 years of production. It is this attention to detail that makes these (and I expect many other Hutchinson tyres) superb in performance, and should make them able to perform in all conditions. 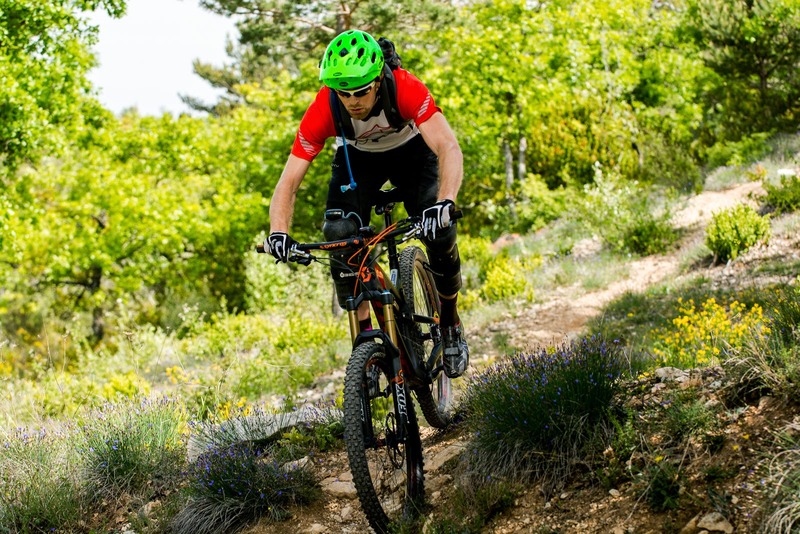 Indeed, to give the Hutchinson Squale and Toro a true mixed surface test, I took a set of both out on the UK trails for several weeks when I returned home from France. Rather than the large 2.25 and 2.3 versions we used on the mountains of Provence, I downsized a little to the 2.1, to see if they were equally capable on the mud of the Isle of Wight, as they were on the dust and gravel of Southern France. The results were good, very good. 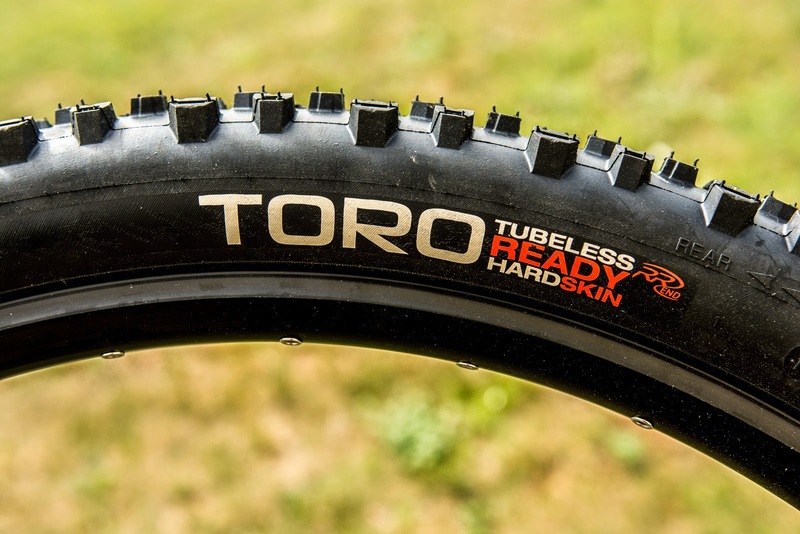 The 2.1 version of the Toro is branded an XC Marathon tyre, and I was shocked at how well it performed this function. Certainly it was equally as impressive in performance as its bigger brother was in the all-mountain terrain. The tyres shed mud with ease, gripped the corners with a feeling of confidence, and have dealt well with a constant onslaught of potential foreign objects that have threatened to damage or puncture the casings. 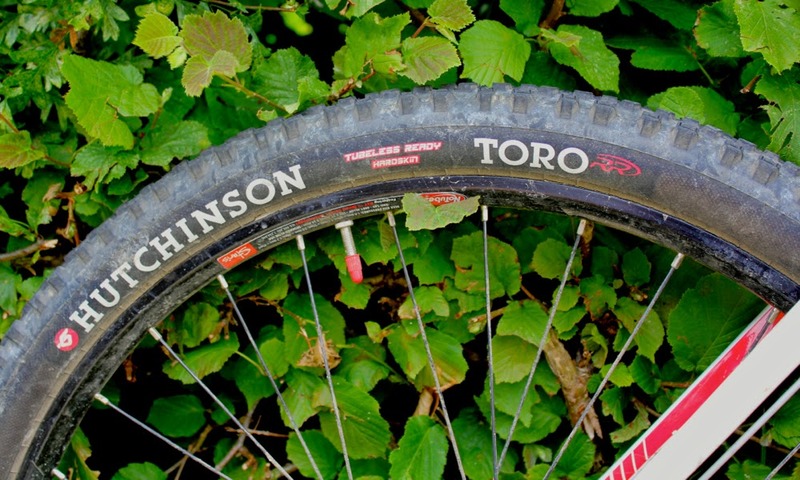 The Hutchinson Squale and Toro are two very interesting tyres then; in one big-volume guise they are extremely adept at handling the gravel and rocks of an all mountain track. 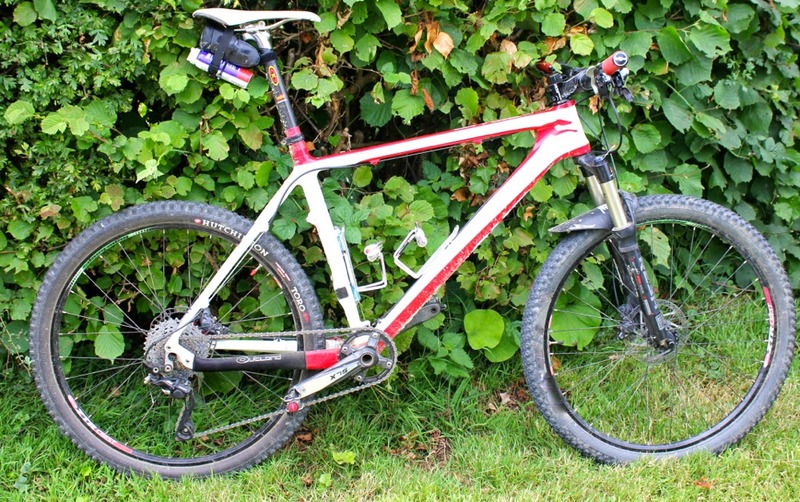 In their skinnier variety they are equally as inspiring and fast on an XC bike, on the UK’s muddy trails. The superb press camp in Provence set a great first impression of Hutchinson for me; a team of enthusiastic and helpful people; but the real credit is that this passion is reflected in their work quite clearly, and these French designed and French made tyres are well up to the mark. Look out for more Hutchinson content coming soon; these are a brand worth noting on your radar.